Ladies, are you feeling blue or anxious? You could be suffering from estrogen overload. Researchers at the University of Arizona in Tucson found that excess estrogen triggers activity in the brain’s anxiety center… which can cause stress, and symptoms of depression. So, try this: Eat some broccoli! It’s packed with plant compounds that speed up the metabolism of estrogen in the liver. Which can smooth out mood swings, boost your mood, and cut your risk of anxiety in half. You may not be sad, but you could STILL be depressed. Half of people suffering from depression feel more angry and irritable than anything else. In fact, those emotions are indicative of someone who’s severely depressed, according to psychiatrist Dr. Philip Muskin from Columbia University Medical Center. For example, they’ll start an argument at the drop of a hat, like when they walk in the door from work. Or they’ll get ultra-irritated at small things, like a stain on their shirt. If that sounds familiar, to you or a loved one, seek counseling. 80% of people with clinical depression respond to treatment. If you want an emotional boost from Facebook or Twitter, check your feed on a bright, sunny day. More negative posts pop up on rainy days and at night, because that’s when we tend to feel more emotional and down in the dumps. If you take antidepressants and want to make them more effective, exercise. Scientists from UT Southwestern Medical Center found that being active every day was as effective as taking a second antidepressant. That’s because being active prompts the body and brain to release more natural antidepressant chemicals, like serotonin and dopamine. One study found that people who took aspirin daily for 10 years were less likely to experience symptoms of depression. Researchers believe it’s because aspirin reduces inflammation… And a study in the Journal of the American Medical Association found that brain inflammation is 30% higher in people with clinical depression. If you’re feeling down in the dumps, eat more citrus fruit! According to the journal Biological Psychiatry, citrus is the perfect mood-booster – because it’s full of vitamin C……Which helps regulate the brain chemicals that affect our mood, including dopamine and adrenaline. And eating at least one piece of citrus fruit daily will lift your mood within days. Loneliness is on the rise! Loneliness is a growing problem these days, and it could ruin your health. According to Newsweek Magazine, we’re three times lonelier today than we were 20 years ago. So why is loneliness on the rise? Well, psychologists say there are several reasons. One is that we lead far more separate lives now than we used to. Before, we stayed close to our families and hometowns and developed life-long relationships. And social networking sites like Facebook, aren’t helping the situation either. 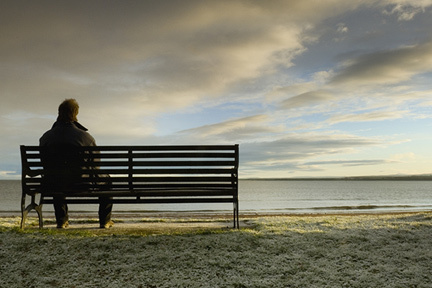 Dr. John Cacioppo of the University of Chicago is an expert on loneliness. He says keeping up with people on Facebook can actually increase lonely feelings. Cacciopo says those virtual connections are like celery… At first they feel good, but ultimately they leave you feeling empty. Psychologists agree: Quality relationships won’t just keep you happy, they’ll keep you healthy too. New research has linked loneliness to heart disease, high blood pressure, sleep disorders, depression and suicide. Other studies have shown that lonely people drink more, eat more and exercise less than happier people. So how do you turn this around? For some it’s easy – join a group, take a class, attend church. But for other people, loneliness can be very deeply ingrained. For them, therapy might be the answer. It could help a lonely person develop meaningful relationships, which is the best way to fight back.